Hanabiko “Koko” a female western lowland gorilla knows over 1000 words in English and communicates with sign language. Koko loved watching Robin Williams films, so when she met him, she was excited as she was meeting her favorite star. 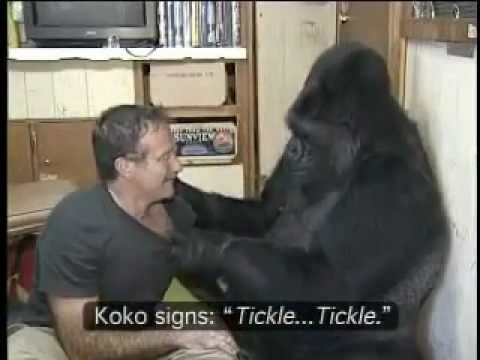 Watch this rare footage of Robin Williams meeting Koko and how amazingly the pair got along.